Today I am bringing you the battle of the subscription boxes! 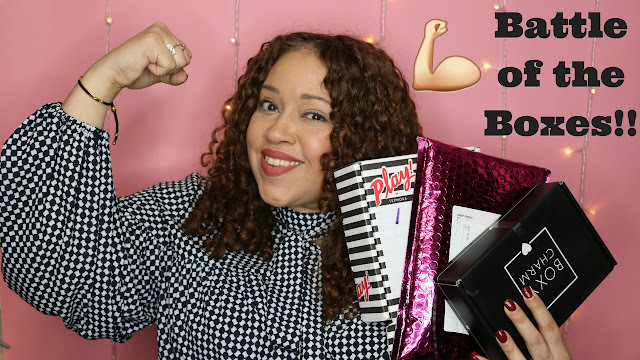 I am comparing the Sephora Play Box, The Ipsy Bag and the Boxy Charm Box. I am reviewing each box and letting you know what you get and which I think is the best for the money. To find out who won the battle of the boxes, make sure to watch the video! Don’t forget to like, comment and subscribe! Like what you saw and want to subscribe to one of the boxes? Here are the links to each one!